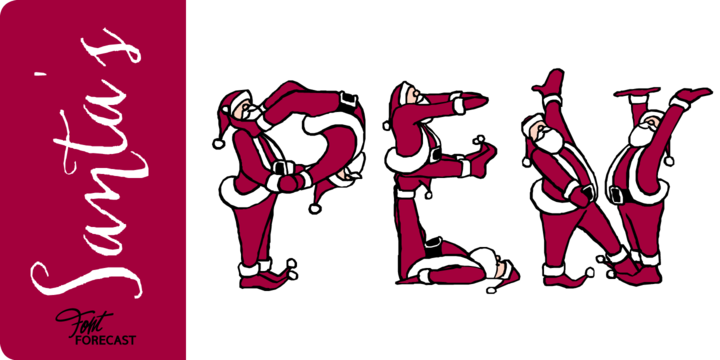 Santa’s Pen is an handmade calligraphic typeface created by Hanneke Classen and published by Fontforecast. It is a special Christmas Edition with 4 layers that you can use’ it for greeting cards, poster, magazine, invitations etc. A font description published on Thursday, November 28th, 2013 in Fontforecast, Fonts by Alexandra that has 2,874 views.